My So- Called Handmade Life: It will pool how it will pool. 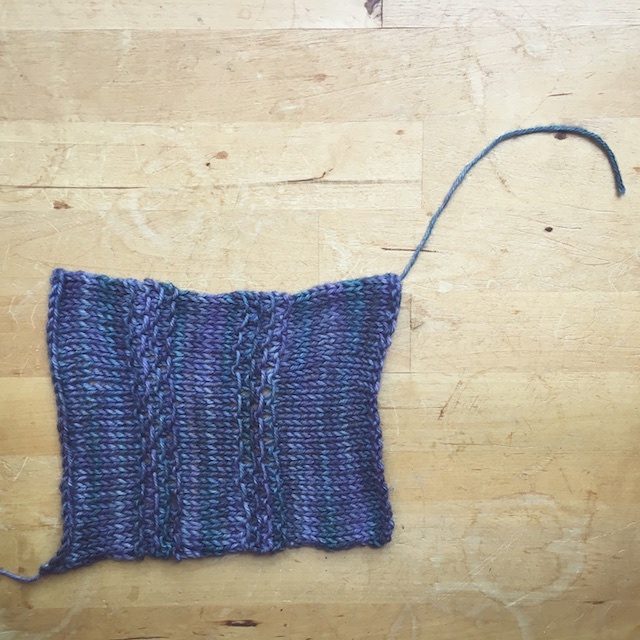 I thought of complaining about how blocky it is and how I checked every project knit with this yarn and color on Ravelry and none pooled this way. If they alternated skeins, they didn't mention it in their notes. Maybe that's a no-brainer move that I just omitted. But why bother whining when I'm not going to rip this back, at least not all the way? 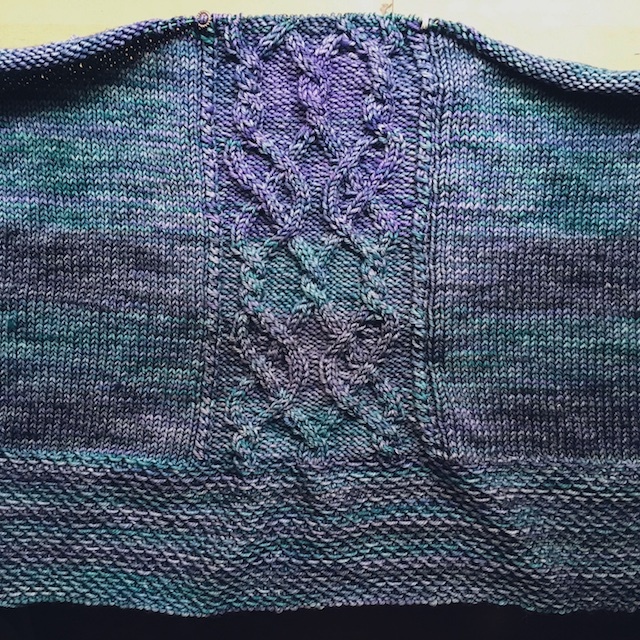 I've enjoyed the pattern, the cables are pretty, and the time I spent on this was hard won. Every stitch took effort to come into being. 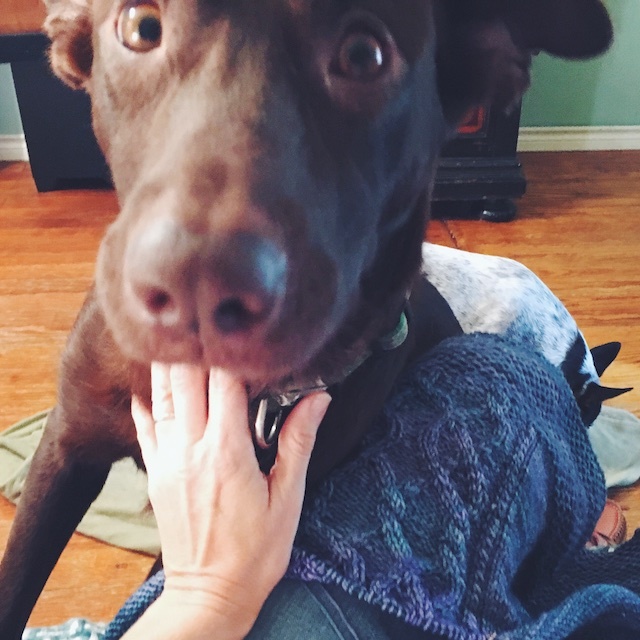 It's six month check up time for my grandmother with a few different doctors, driver's training for my son, meetings for the new school and church year have already begun, and we started fostering a big dog that has never been kept indoors- it seems. (More on that mess later.) If I rip back now, who knows when this sweater will get finished! So, it will be what it will be. And that's freeing. Here's the positive side: The colors are gorgeous, pooled or no. 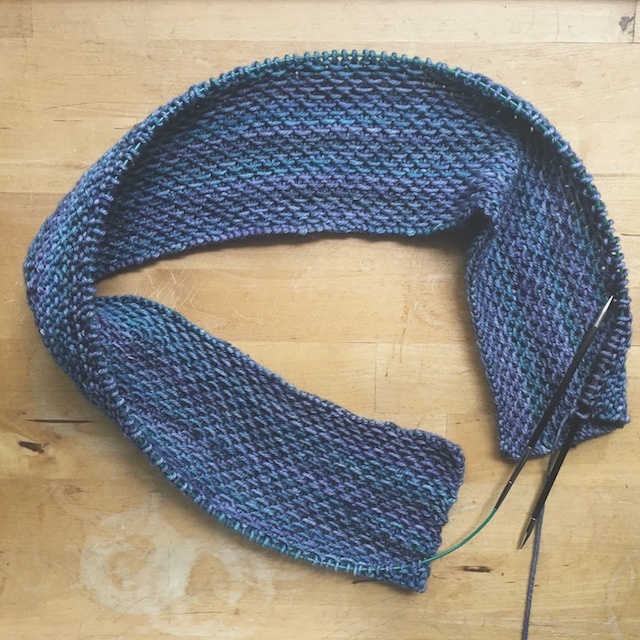 I would've died to be able to knit a sweater with such a colorway when I was a new knitter. Hand dyed yarns seemed mysterious and expensive to me then. 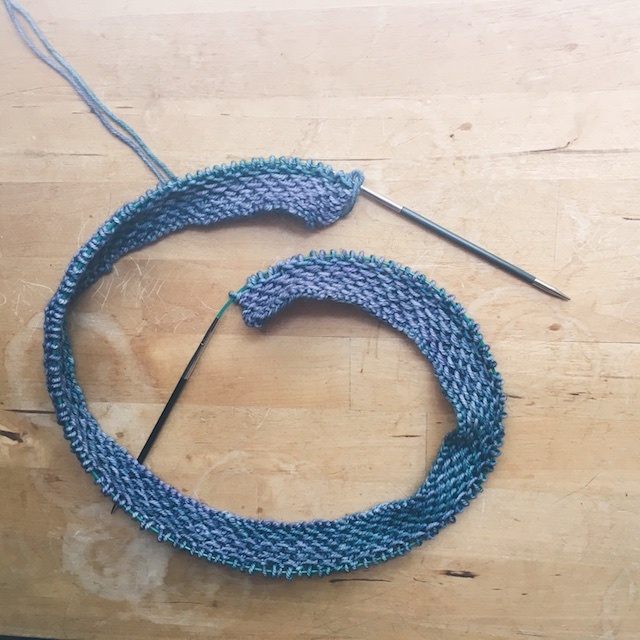 I also would've been ecstatic to knit cables so easily with no weird issues. Plus, I just started the second skein, which seems to be from a different dye lot, and I could rip back to that point and start with another skein instead. I think I'll have more than enough of this to not need that skein very much. 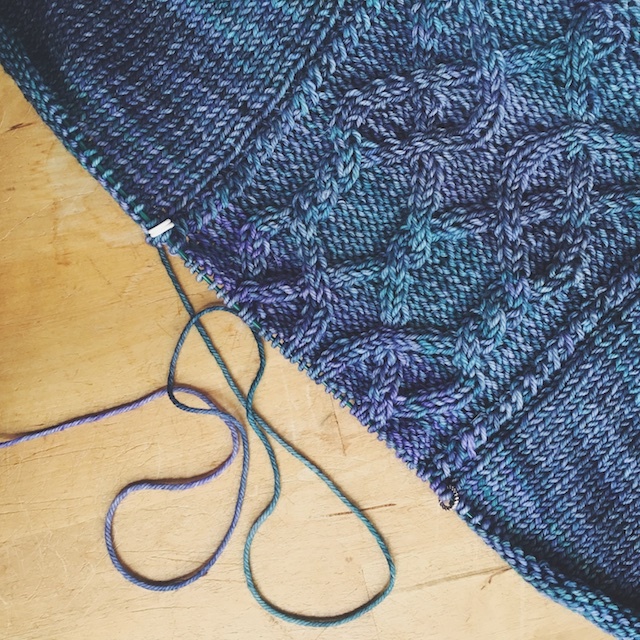 So, why dither over whether to restart and alternate skeins when I know that I cannot? I asked a lot of you via instagram and ravelry what you thought, and the overwhelming response was: Do watch like. So, I may rip back a few rows of what I knit with the second skein, or I may not. Either way, I'm just going to let it pool and enjoy.